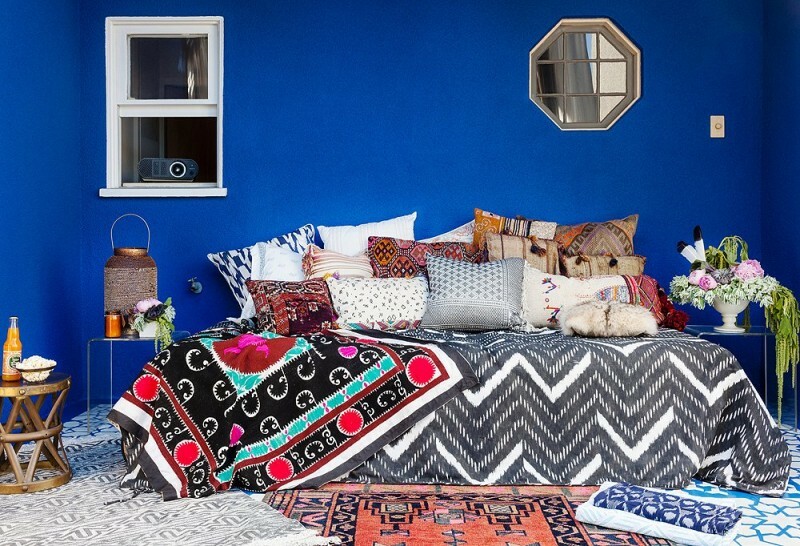 Bohemian is something unique. 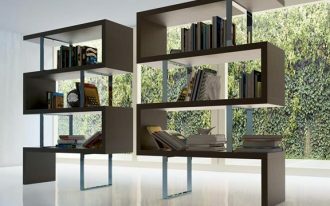 Most interior designers call it the thing as it’s more than vintage, texture of color, geometric patterns, and plants. 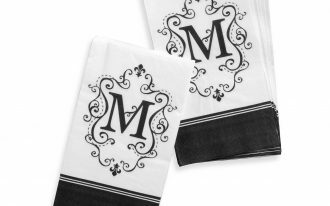 Bohemian is also identical with distinctive style that makes the home more vibrant and richer in aesthetic value. 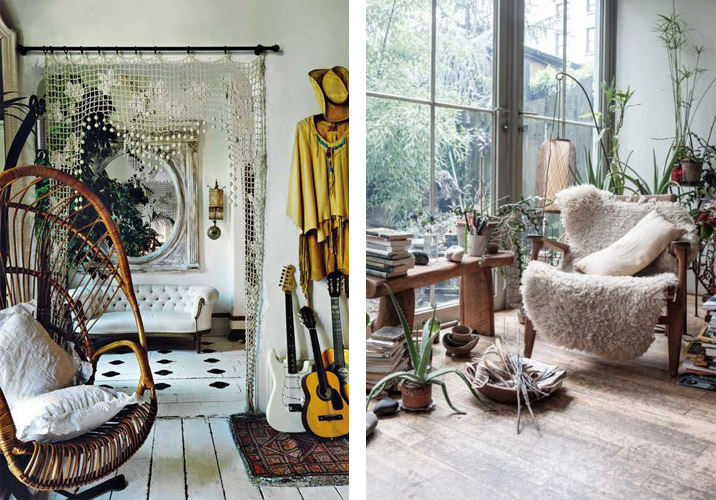 Through this page, I would like to share ten signs of Bohemian you may want to adopt for your home. 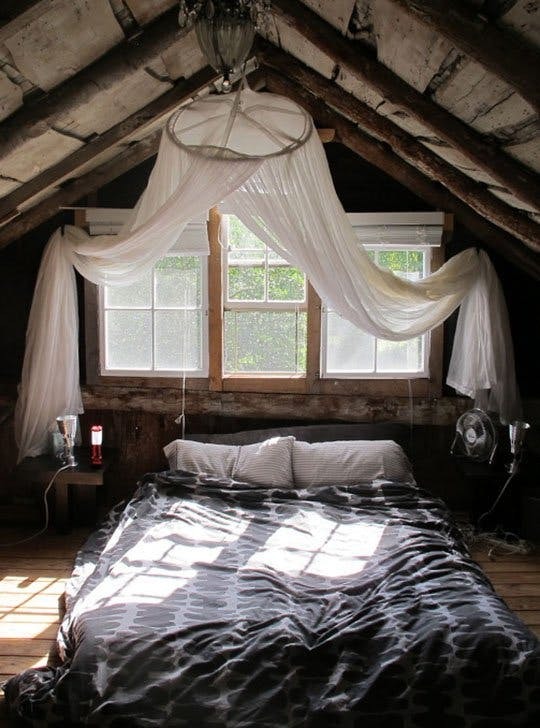 Lower mattress with higher canopy. This idea is so dramatically interesting. 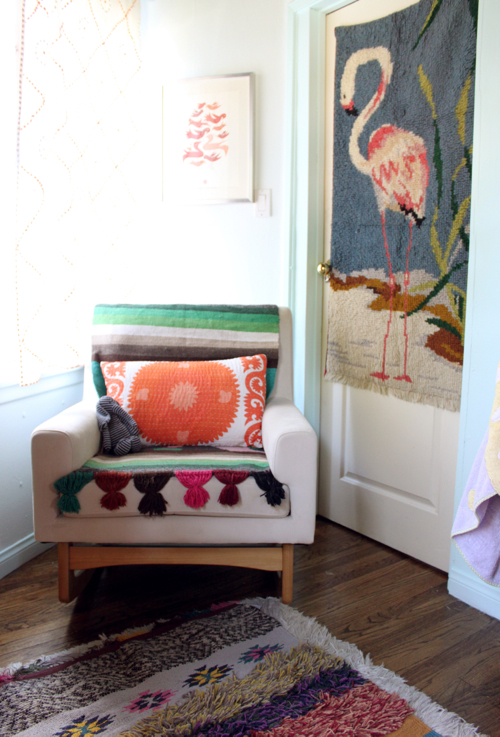 You can highlight the playful curtains covering up your canopy. 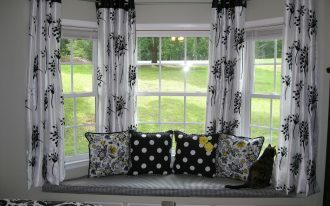 Use white to create a classic look around your canopy, and make a window as the centerpiece of your curtain. That’s so awesome. 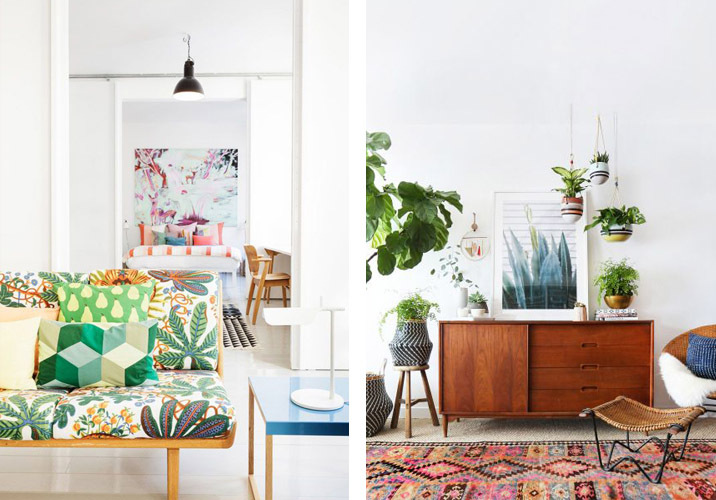 Embrace minimalism and go run on lots of pattern, color, and artwork. Bohemian lovers really like textural color exposure. 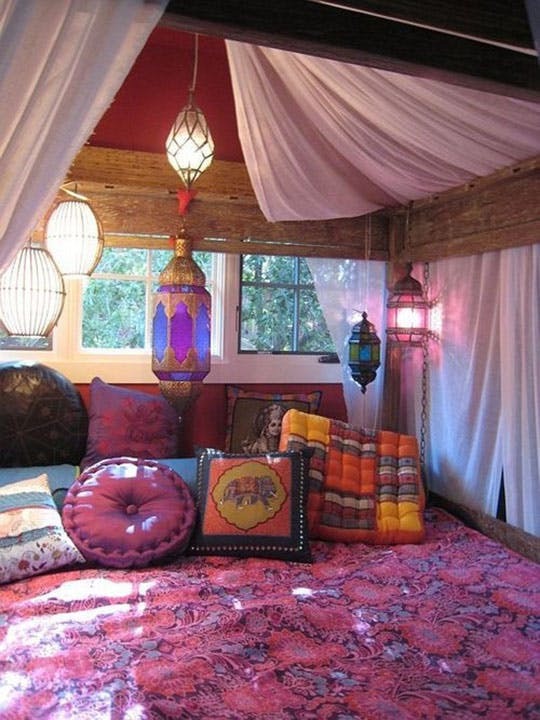 The more colors and patterns, the more beautiful the space is. 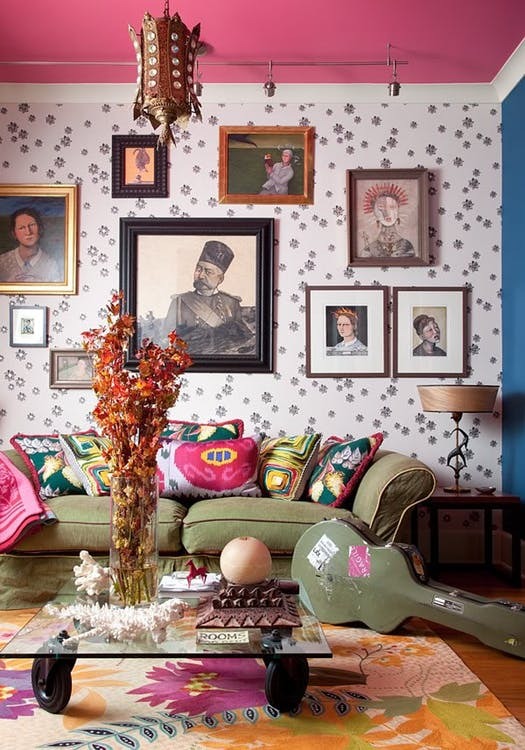 Bohemian believes that the pattern and color work when the other patterns and colors are existed. Bohemian has very distinctive style. The uniqueness is to put down all kinds of styles into one frame. 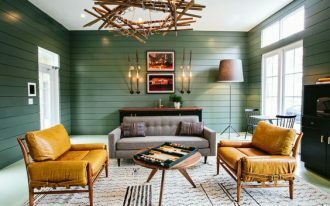 No need to worry about the color match, proportion, or even the furniture choice you are going to set in your Bohemian corner. 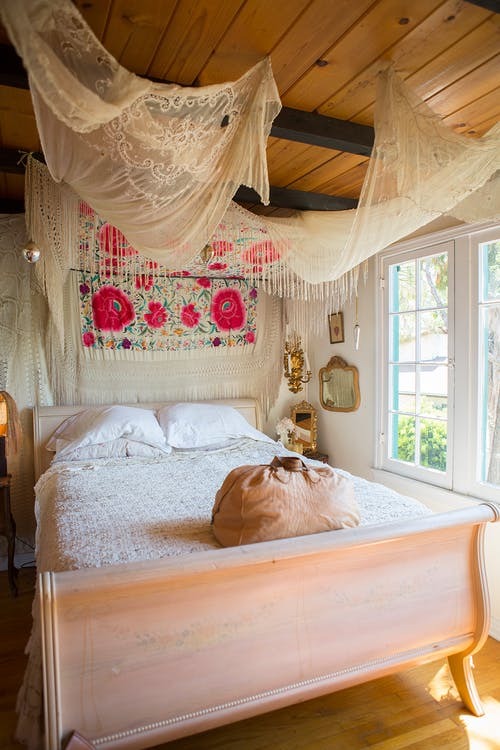 In this bedroom, for instance, actually the flowered background is not necessary, but it’s artistic for a Bohemian bedroom. 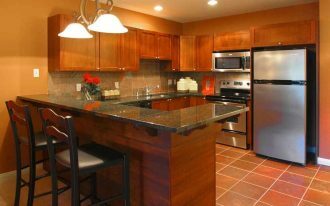 It adds rich color to the space. Love more plants than furniture. Lots of vivid plants offer the real refreshing atmosphere and natural beauty. When the greenery is put side by side with rich colored ethnic rug and vintage furniture, it’s gonna be the most stunning one due to its monotonous green scheme. Interesting! Comfortable and relaxed feels are still the priority. 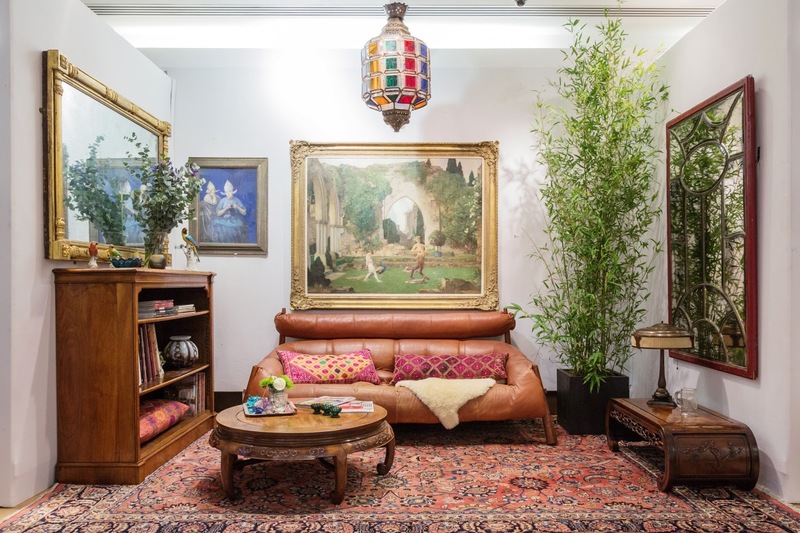 Yes, it’s true that Bohemian exposes more the richness of textural colors, patterns, vintage things, and plants, but comfortable and relaxed feels are still the main priority. These values are very important in home design and architecture matters. Bohemian wants the lanterns, ottomans, and pillows back. Each piece of these things have unique look, color, and design, and this uniqueness is the thing Bohemian wanna expose to us. Once again, the uniqueness. One pattern supports another pattern. 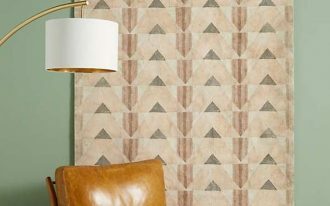 Bohemian allows us to use more than one patterns and colors, there is no particular role to mix or match those patterns. It’s free to apply them based on our personal taste and preference. But aesthetically I prefer to mix the chosen patterns with something bold and plain like this wood floors and white lounge chair. Why? Something bold and plain will help the colorful patterns to stand out. Bohemian loves suzani and floral motifs. Suzani is a kind of tribal textile originally comes from some countries in Central Asian such as Kazakhstan, Tajikistan, and many others. Suzani is commonly used for carpet and other home fabrics. This textile displays rich of colors and patterns. 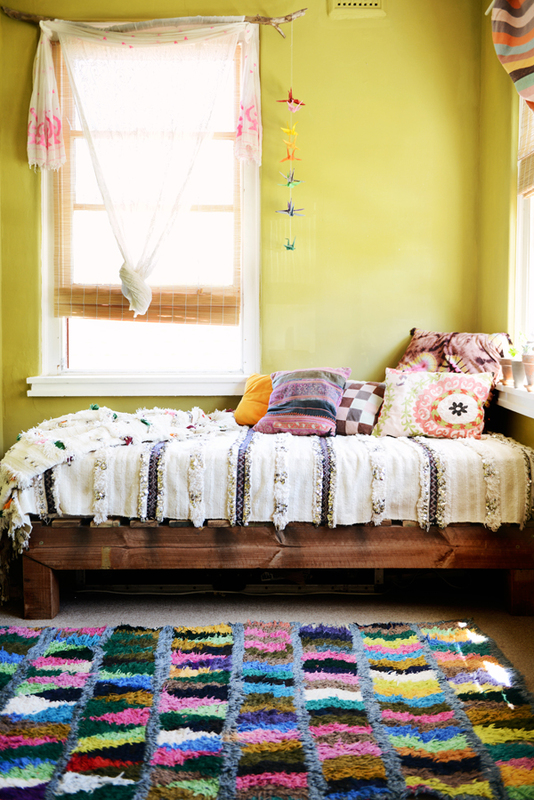 Another significant sign of Bohemian is beaded curtain for decorative accent. This entryway looks so charming with the beaded curtain hung on the door. 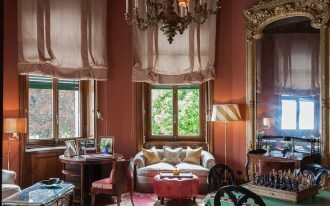 Its see-through effect of beaded curtains adds an artistic beauty especially for the seating area in room next to the door. 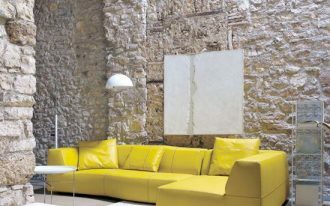 Use playful bold color scheme is recommended to make all textural colors and ethnic patterns more obvious.